I was able to take advantage of some free CVS shopping this week for our Operation Christmas Child shoeboxes. They had two ads and several items fit perfect in the "what to pack in a shoebox" category. Here's what I got and how I paid. You can still get in on the CVS Ad for 11/27 as the deals go thru 11/29, Saturday. Paid $8.02, Saved $24.60, received $13.34 in Extra Bucks (rolled some on these deals). I shared the Beanie Babies collection image I made earlier. But I changed it into a WANTED Poster and wanted to share it again in case any one could use it. I emailed the image to my friend and she shared it in her small business but didn't get any donations for several weeks and then....well, see the image below! My Operation Christmas Child stockpile is full of animals now. Christmas came early to my house! And not only in the Operation Christmas Child shoebox gifts we packed. I outgrew my laundry room shoe box stockpile storage. I shared a few months back about my Shoe Box Stockpile Organization in my laundry room. How I sort everything into Banker Boxes throughout the year as I shop and craft. This year I outgrew that space and went looking around my basement for additional room. There is a long, wide hallway beside the furnace room. It is along the back wall and is mostly hidden from the living area -- well, sort of hidden. Nothing a couple of curtains wouldn't fix. I thought it would be perfect for shoe box stockpiling with at least twice the storage I currently had. As I begin to prepare for the 2015 Operation Christmas Child collection week (a year away) you would think the first thing I would do is set a goal. But I am purposely NOT setting a goal. Well, not a goal with an exact number of boxes to pack anyways. 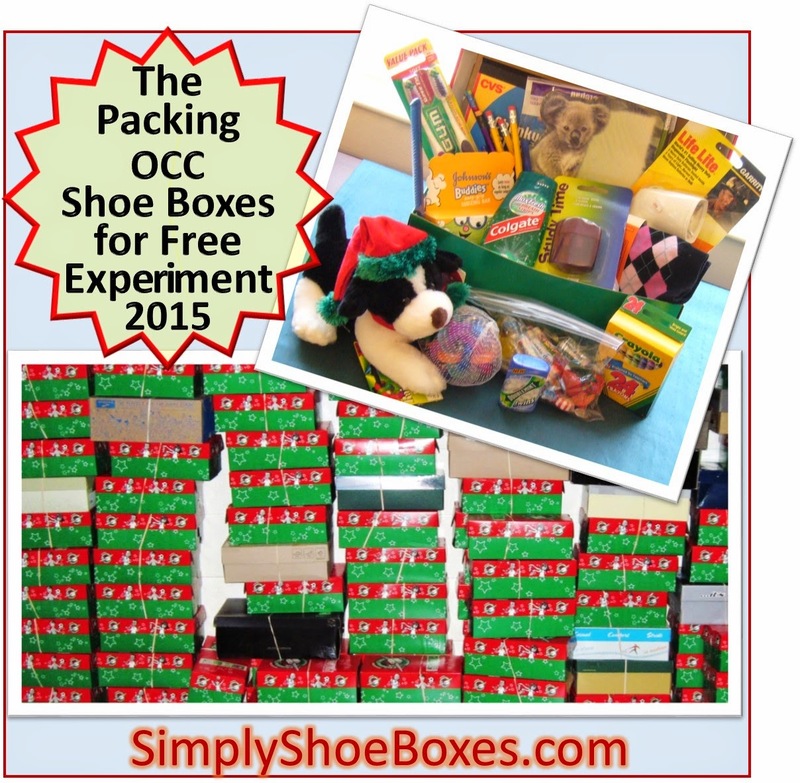 My goal for 2015: to pack as many shoeboxes as possible without tallying them. 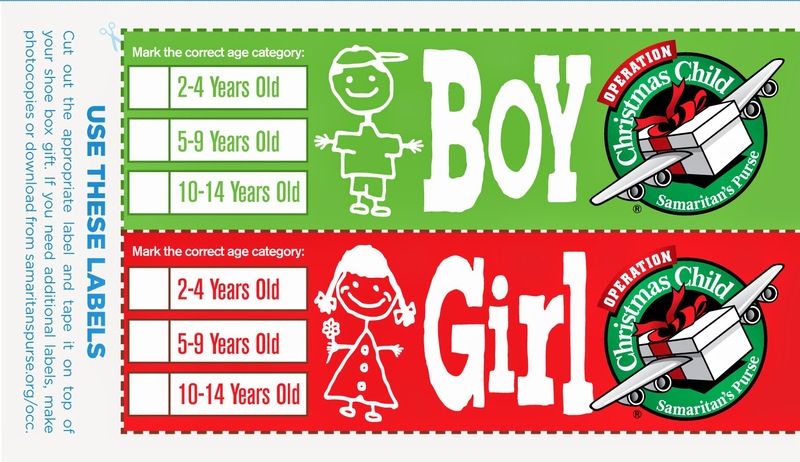 When I began packing, I had some fun additions to some of the Operation Christmas Child shoeboxes I already shared here. I thought you might like to see the additions, too. Do you remember my "Bunny in the Garden" box? Here are my final Operation Christmas Child dresses for 2014. They are all packed up and delivered to our church to start their journey to the little girls who will hopefully enjoy wearing them as much as I enjoyed sewing them. And hopefully some will find their way to girls who need them for protection as I explain in this post: Why I Sew Dresses to Include in my Operation Christmas Child Shoeboxes. Hearts and Flowers in Pink and Purple. This is a seersucker type fabric. Guess what's on my Christmas wish list? Sewing kits! My daughter stumbled upon these great Singer sewing kits while at a local dollar store picking up the last of the toothbrushes we needed for 2014. She bought a few for my 10 to 14 year old boxes this year and said they had dozens left. I quickly added it to my Christmas wish list! 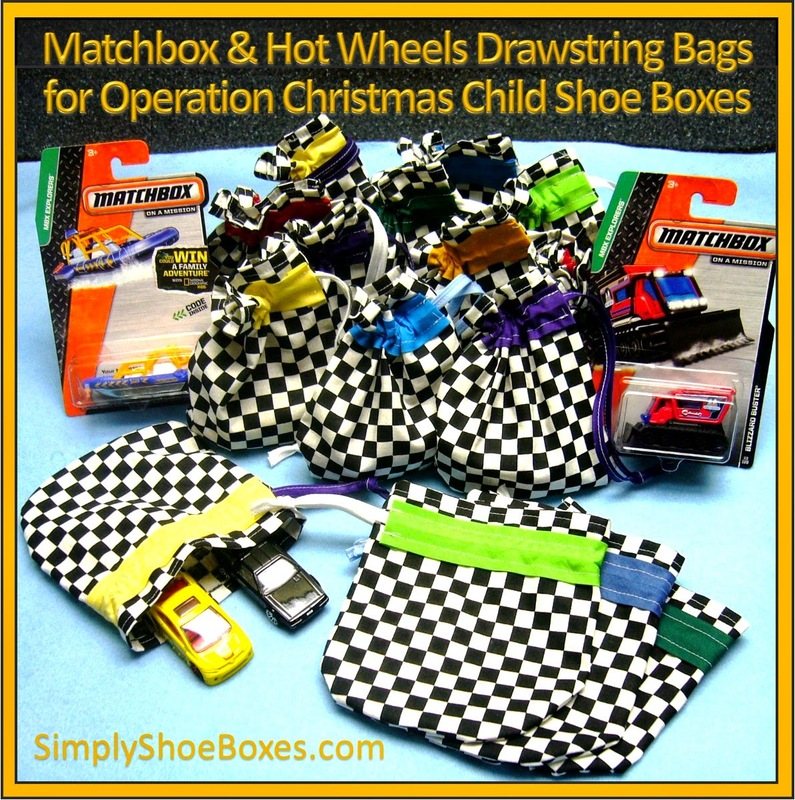 I love getting presents I can use in Operation Christmas Child shoeboxes. Some had these stickers on them showing the original price as $10.99. 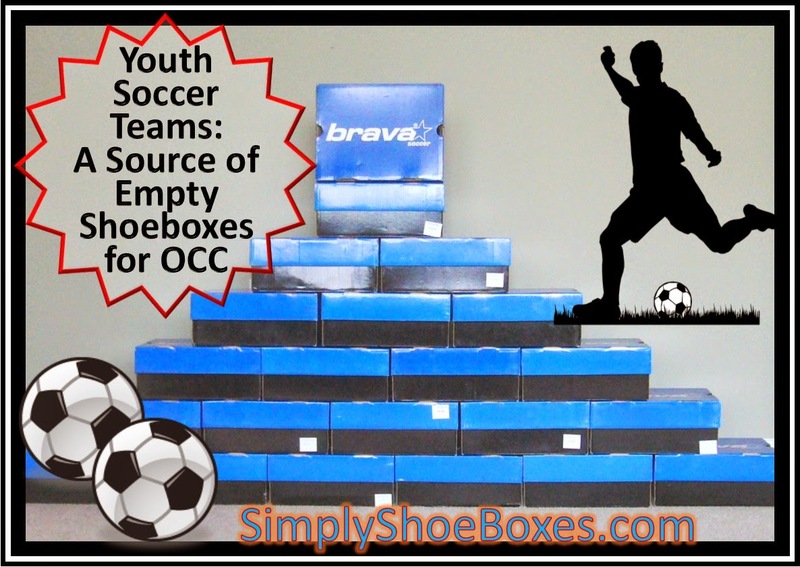 I think everyone who has been reading Simply Shoe Boxes for any length of time knows I love to do theme boxes for my Operation Christmas Child kids. They just seem to come together without much effort sometimes. Such is the case with the Life Saver Snowman Box!